Coal mining began in Pennsylvania in the mid-1700's, fueled by the Colonial iron industry. Bituminous (soft) coal was first mined in Pennsylvania about 1760 at "Coal Hill" (present-day Mount Washington), just across the Monongahela River from the city of Pittsburgh. The coal was extracted from outcrops along the hillside and transported by canoe to the nearby military garrison at Fort Pitt. By 1830, the city of Pittsburgh (dubbed the "Smoky City" for its heavy coal use), consumed more than 400 tons of bituminous coal per day. The Pittsburgh Coal Seam, especially the high-quality coal from the Connellsville District, had the best coal in the nation for making coke, the principal fuel for iron blast furnaces. The first use of coke in an iron furnace occurred in Fayette County, Pennsylvania, in 1817. During the mid-1830's the adoption of beehive coke ovens, named for their dome shape, further spurred the use of Pittsburgh-seam coal in iron furnaces. During the last half of the nineteenth century, the demand for steel rose dramatically, generated by the explosive growth of the railroad industry. The number of beehive ovens in the Pittsburgh seam between 1870 and 1905 skyrocketed from about 200 ovens to almost 31,000 in response to the rising demands of the iron and steel industry; their use peaked in 1910 at almost 48,000. The production of coal mines along the Pittsburgh coal seam increased from 4.3 million tons of coal in 1880 to a peak of 40 million tons in 1916. Over 10 billion tons of bituminous coal has been mined in 21 Pennsylvania counties (primarily western counties) during the past 200+ years of mining. This is approximately one-fourth of all coal ever mined in the United States. Pennsylvania counties containing coal mines, ranked in order of production, include Greene, Somerset, Armstrong, Indiana, Clearfield, Washington, Cambria, Jefferson, Westmoreland, Clarion, Elk, Fayette, Lycoming, Butler, Lawrence, Centre, Beaver, Blair, Allegheny, Venango, and Mercer. Pennsylvania is currently one of the biggest coal-producing states in the United States. One of the worst mine disasters in the United States occurred at the Darr Mine in Westmoreland County on December 19, 1907, when a gas and dust explosion killed 239 miners. Other major mine disasters in Western Pennsylvania include the Harwick Mine explosion of 1904 which claimed the lives of 179 miners plus two rescuers and the Marianna Mine Disaster of 1908 which killed 129 coal miners. Information on this and other Pennsylvania coal mine disasters can be found in Pennsylvania coal mine accident registers, online at the Pennsylvania State Archives, documenting mining accidents for the years 1899–1972. 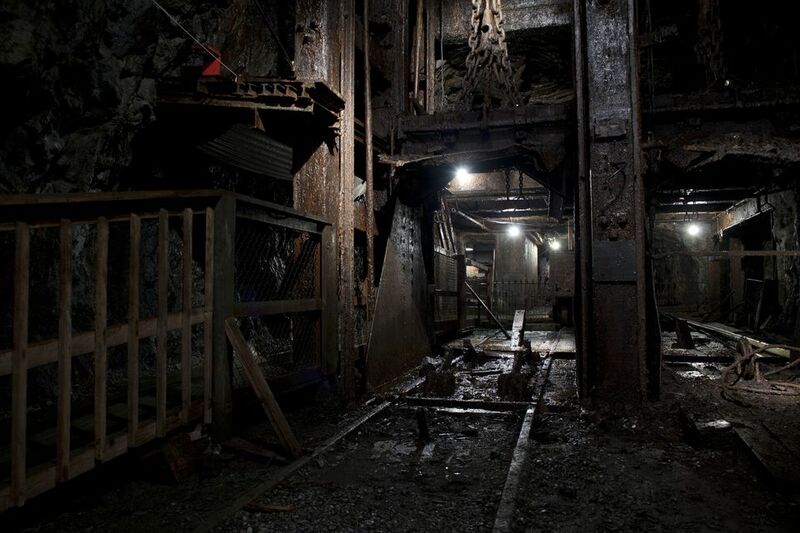 In more recent memory, the Quecreek Mine in Somerset County, Pennsylvania, captured the attention of people worldwide as nine miners trapped underground for three days were eventually rescued alive. Tour-Ed Coal Mine & Museum: Take an educational tour through this Tarentum mine where experienced miners give live demonstrations of the various types of mining equipment to give visitors a sense of what it was and is like to work in a coal mine. Windber Coal Heritage Center: Explore a Model Mining Community and discover how Pennsylvania's "Black Gold" influenced the lives of residents. The Windber Coal Heritage Center is the only interactive museum in the eastern U.S. dedicated to telling the story of the everyday lives of miners and their families.